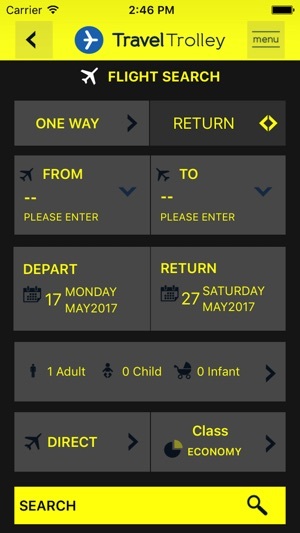 Now you can quickly search and book your flights to any destination in the world using Travel Trolley’s user friendly iPhone app. With its attractive design and an eye-catching interface, Travel Trolley app is a great addition to your iPhone. Browse through our special offers on the go and book the cheapest fares anywhere and everywhere! 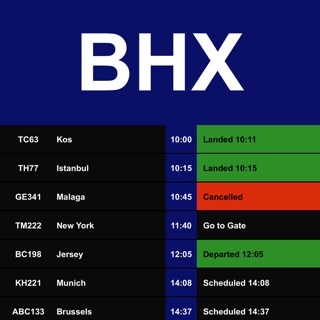 Simple to use and navigate, the app is optimised for a seamless and secure user experience. The highly responsive app uses a hassle-free and attractive user interface. The search engine processes your search and returns the results within seconds. Choose from neatly and smartly organised search results sorted in the ascending order of price and suitability (cheapest and most suitable on top). 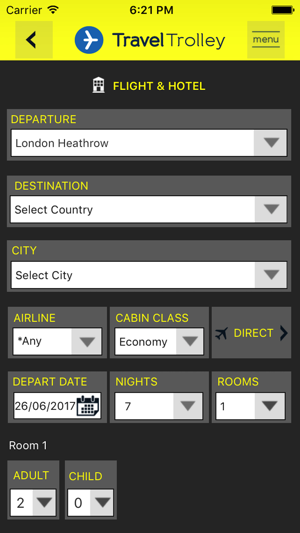 Tap the icon at the top right hand corner and choose from options namely Home, Search Flights, My Booking and Contact Us. 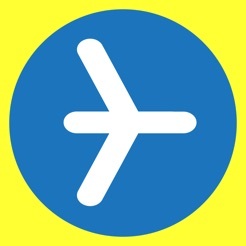 You can search flights on the go. Travel Trolley has deals from almost all major global airlines. 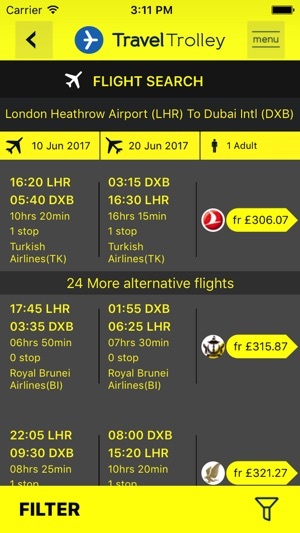 The app allows you to browse through and compare deals with these airlines and book the best option. 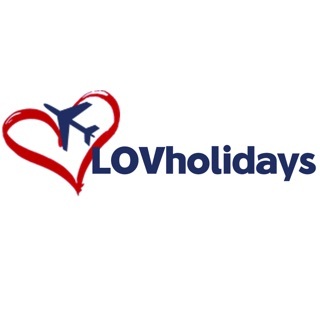 You can search for and book flights from any UK airport to your desired destination. 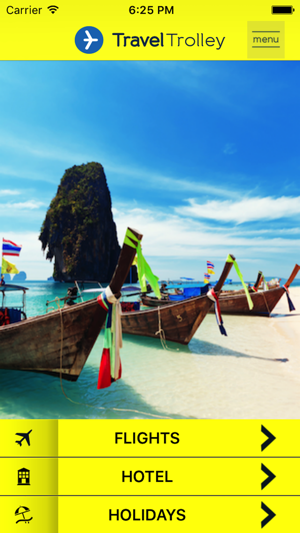 We frequently offer special deals on flights with global airlines departing every airport. Enjoy access to the special offers that Travel Trolley has bagged from international airlines worldwide. All deals come with our ‘Best Price Guarantee’. Made a booking with Travel Trolley and waiting for your etickets to be emailed to you? Wait no more! 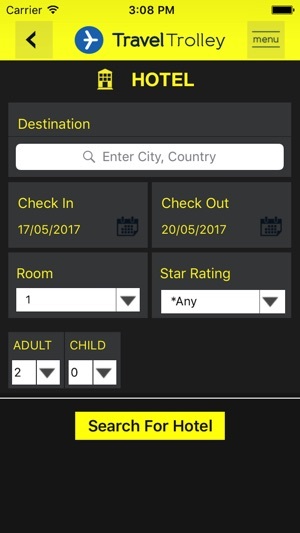 Use ‘My Booking’ option on the app to retrieve and save your etickets at the click of a button on your phone or tablet. You can also check detailed itinerary whenever you like. Avoid waiting in the long queues and IVR menus over the phone when you call us. Use ‘Contact Us’ to get all your queries answered online. Just fill out the details in the form provided in the app and our customer services team will get in touch with you. App makes you fill out all the information of what you are looking for then crashes everytime you click search. No point downloading till this issue has been resolved. Until they release an update so it doesn't crash and quit in the first 20 seconds of use I wouldn't recommend it.